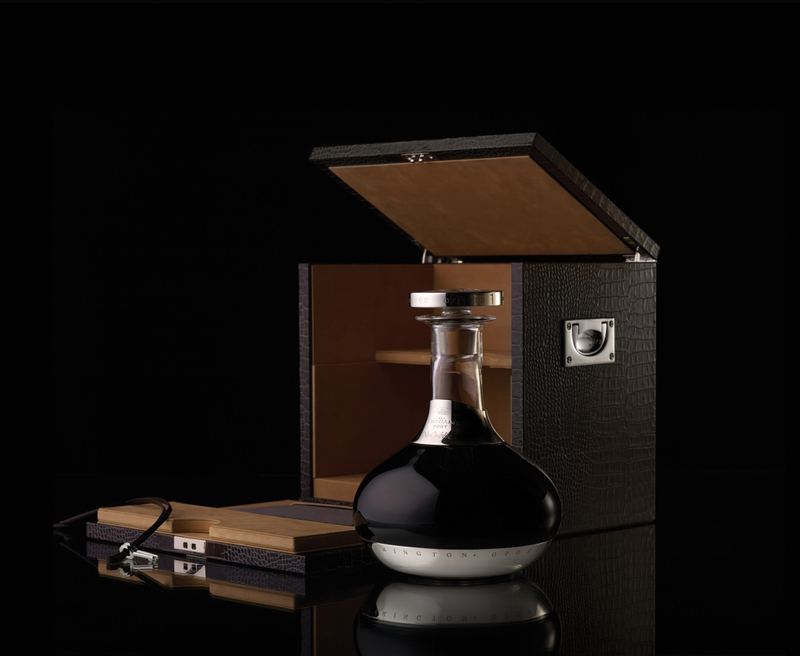 The Symington family has released 656 bottles of a Port that dates back to the arrival of their great-grandfather Andrew James Symington in Portugal in 1882. 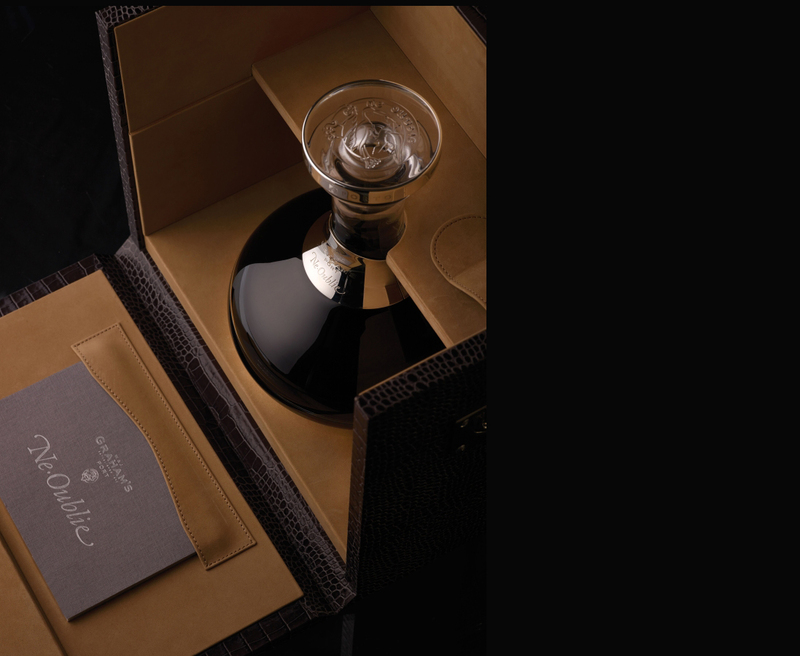 The family have named this wine ‘Ne Oublie’ after the original Graham’s family motto and for the company where Andrew Symington started his life’s work. 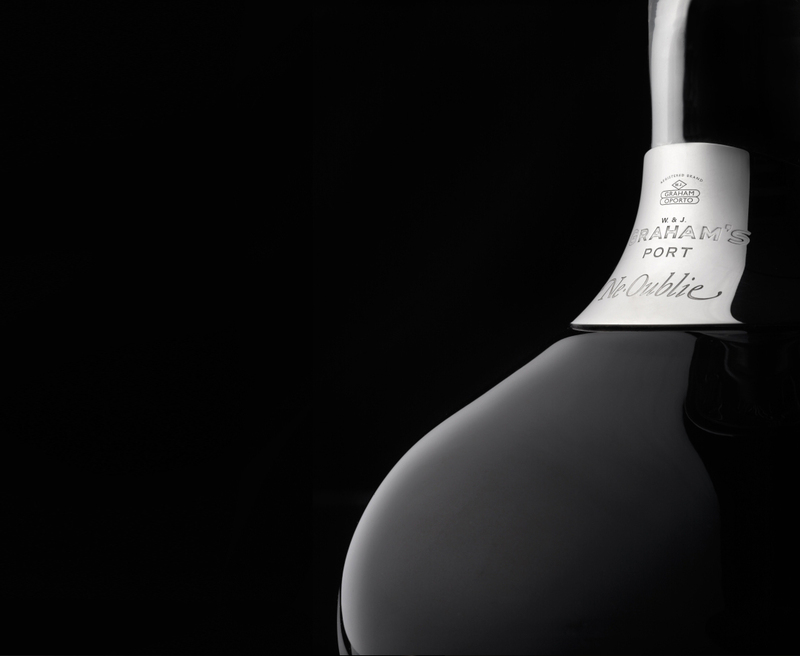 The name reflects the respect with which the family regard their great-grandparents’ joint decision to commit themselves and their descendants to Portugal, to the Douro and to Port. 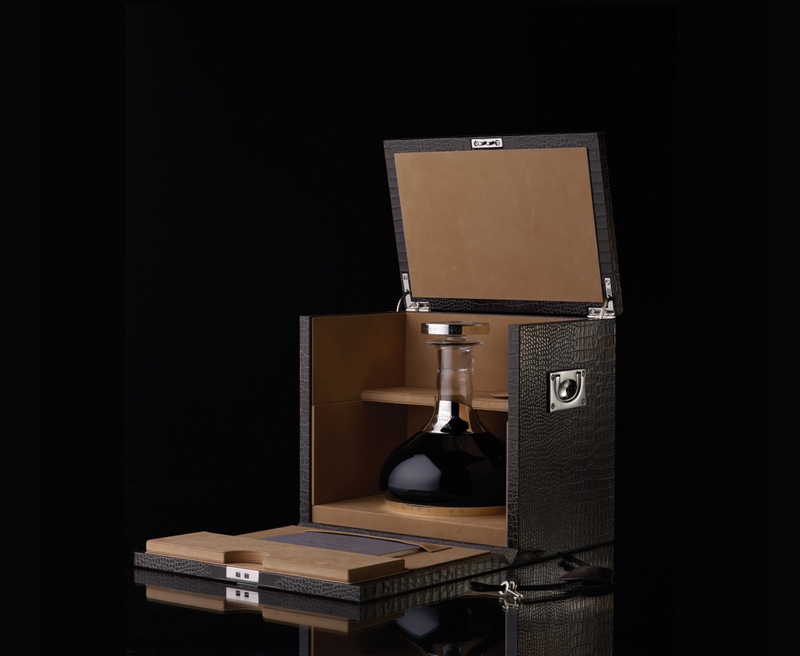 Now 130 years later his direct descendants have bottled one of the remaining three barrels. 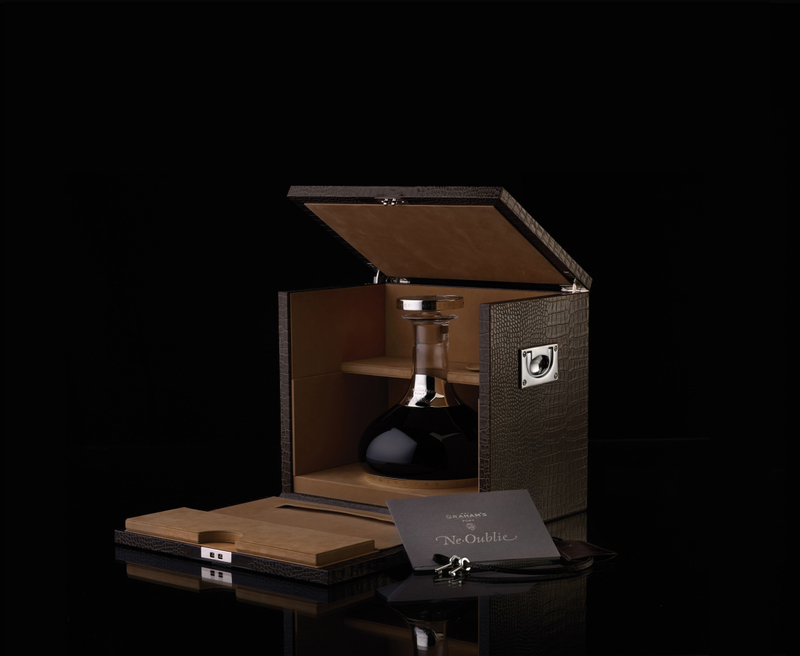 The other two barrels have been entrusted to the next generation of the family and it is they who will decide their future, in 2025 at the earliest. 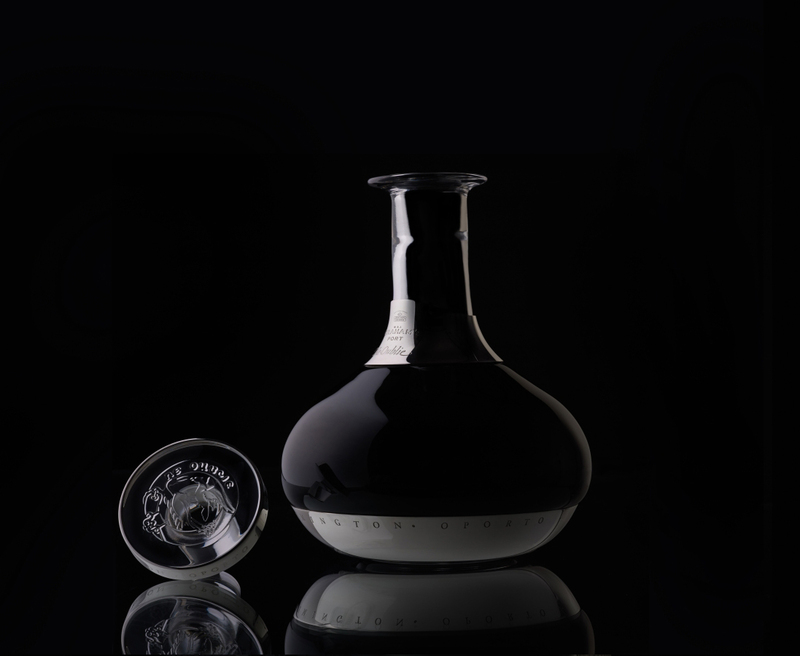 This extraordinary wine has been bottled in an individually numbered, hand-made crystal decanter designed by Portugal’s leading glass manufacturer Atlantis. 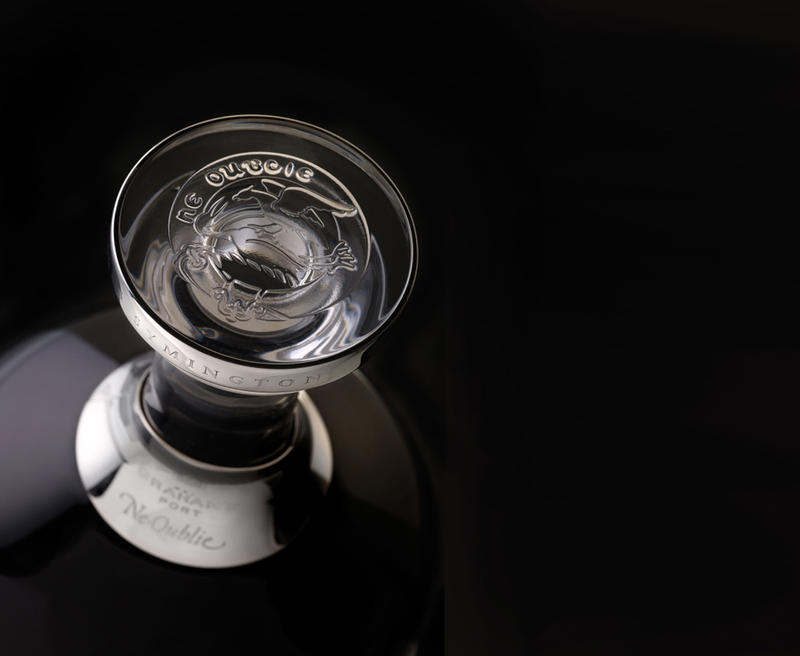 Three sterling silver bands, moulded and engraved by Scottish Silversmiths Hayward & Stott, and carrying the mark of the Edinburgh Assay Office, adorn the glass. 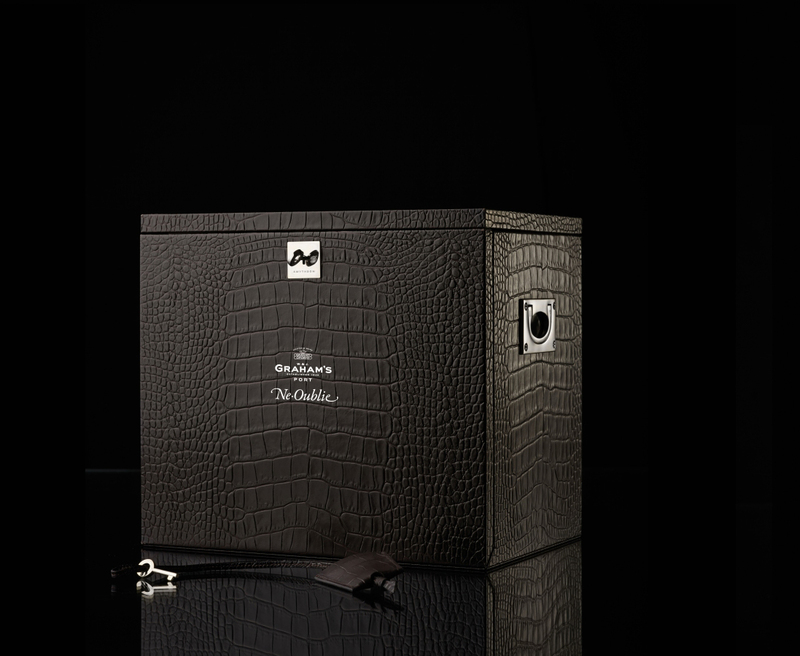 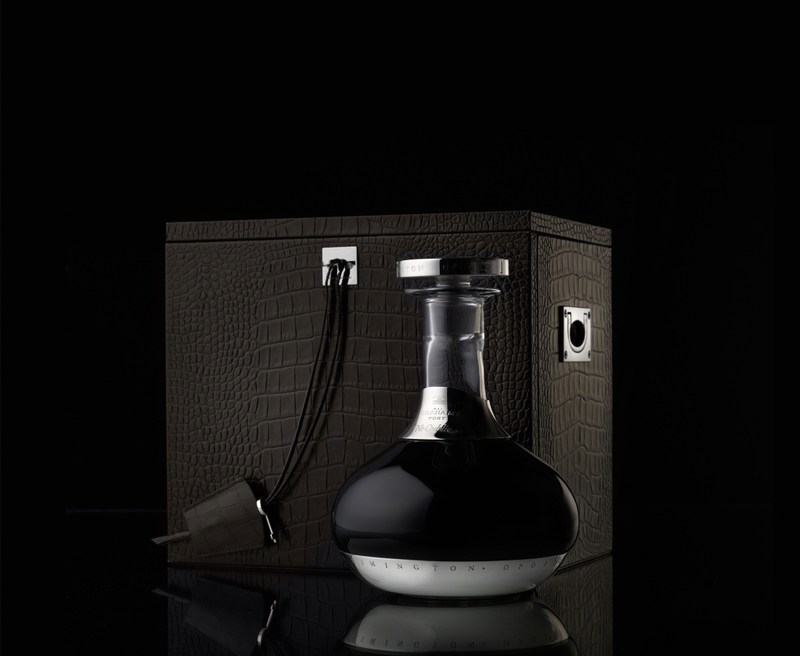 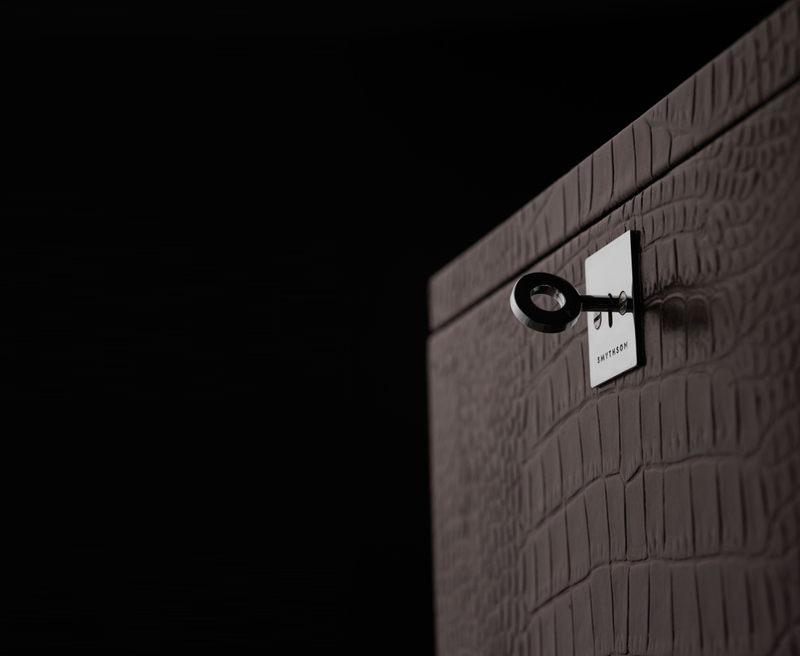 The decanter is presented in a bespoke presentation box handcrafted with the finest leathers by quintessentially British brand Smythson of Bond Street, one of the world’s oldest luxury leather goods companies. 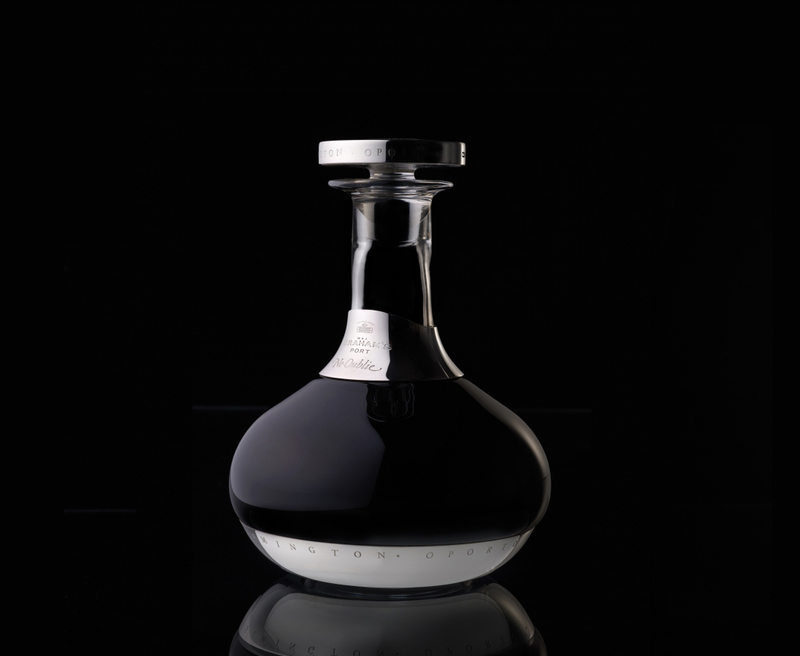 Hence, Ne Oublie represents the work of the very finest artisans of the three nations from which the Symington family is descended: Scotland, England and Portugal. 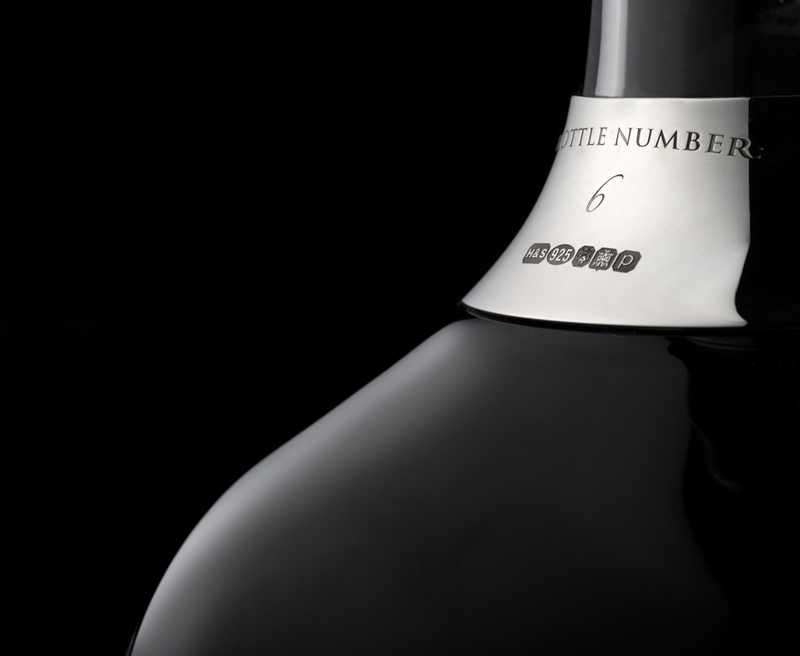 The 656 bottles of Ne Oublie will be available through selected fine wine merchants around the world and at the Graham’s Port Lodge.